I was thinking today, Memorial Day, about my father. 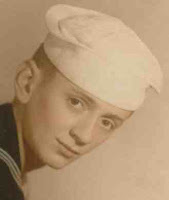 He enlisted in the Navy in January, 1946, at the age of 17. Too late for the war, he spent two years up and down the coast of California. He talked about the men he served with in much the same way as we’ve become used to in movies and on TV. Movies and TV shows about war and the military are set in a time and place that most of us didn’t experience. They include archival footage and simulations of famous battles. They are more or less factually based. They tell a story of a unique moment in time. But at their core, the best ones are stories about relationships. Sometimes resorting to stereotypical characters (the “lifer”, the “farm boy”, the “coward”), they still create compelling stories about the men (and sometimes women) who fought to defend our way of life. There is a special bond among military, especially those who serve in times of war. 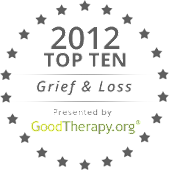 They depend on those around them – for support, for encouragement, for their very lives. Theirs are friendships forged in the heat of battle; friendships that last a lifetime. When you take a moment to honor our veterans today, take another moment to think about their friends: those who made it and those who didn’t. Because I guarantee that every veteran is thinking of those friends, too. Beautiful and thoughtful post. People forget the real reason for this holiday in their rush to the BBQ grill.